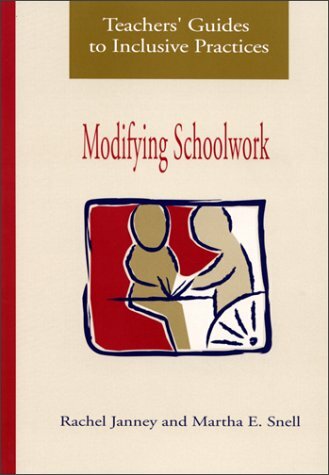 Provides strategies, models, and examples of ways to adapt a classroom in order to provide the individualized attention students with disabilities need for academic & social success. Designed to help students with a broad range of disabilities, from learning disabilities to severe developmental disabilities. Explores curricular adaptations (the lessons taught), instructional adaptations (how the lessons are taught), and ecological adaptations (where, when, and with whom the lessons are taught). Grades K-8.